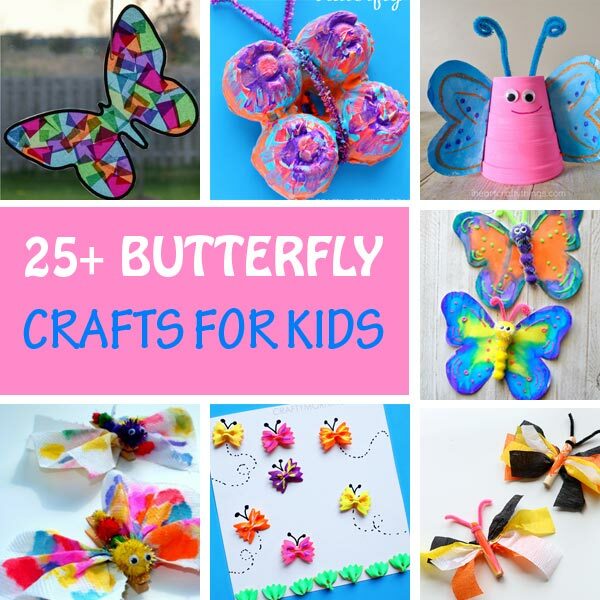 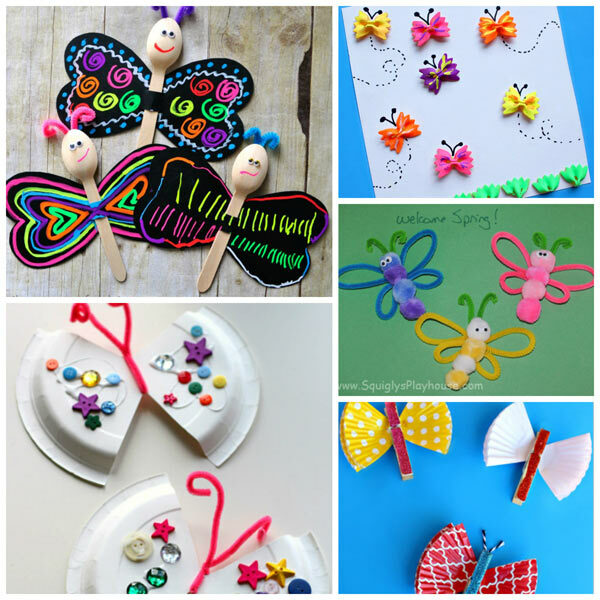 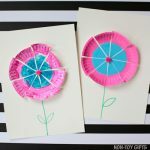 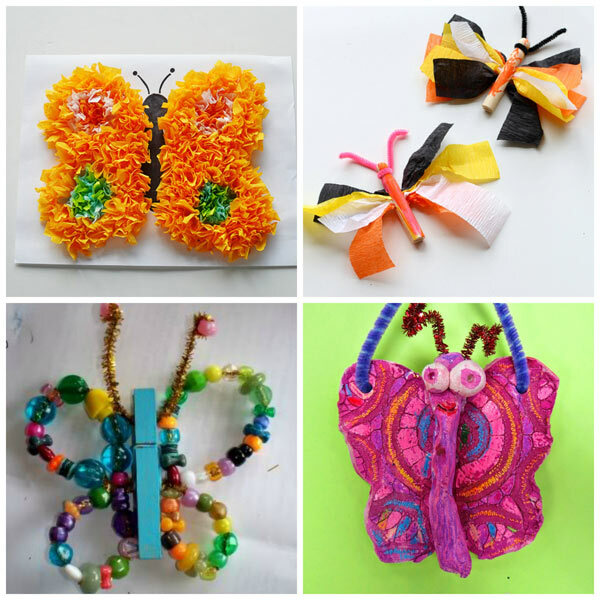 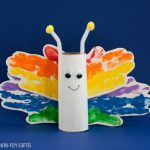 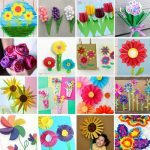 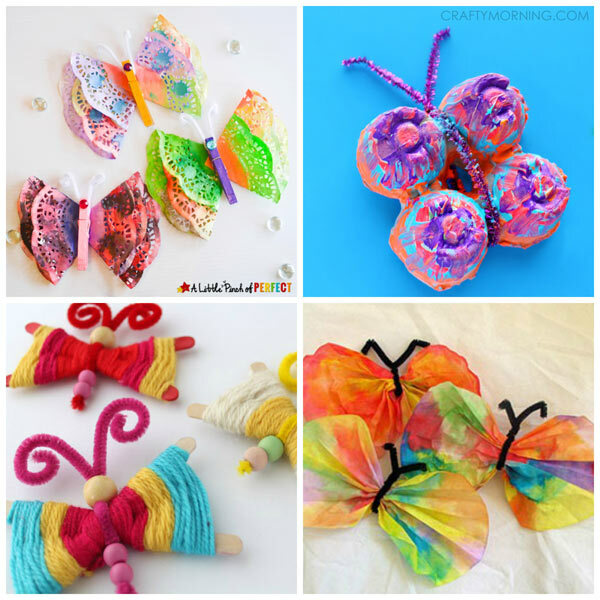 Stunning butterfly crafts for kids. 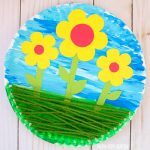 An awesome way to welcome spring. 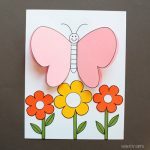 Technically it’s still winter and there is snow left on the ground here in Minneapolis, but the sun is shining and it’s pretty warm for a February day. 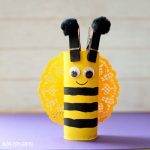 What am I saying? 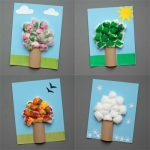 It’s really warm and nice. 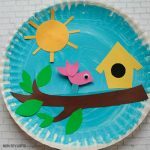 We’re expecting temperatures in the 50s this weekend. 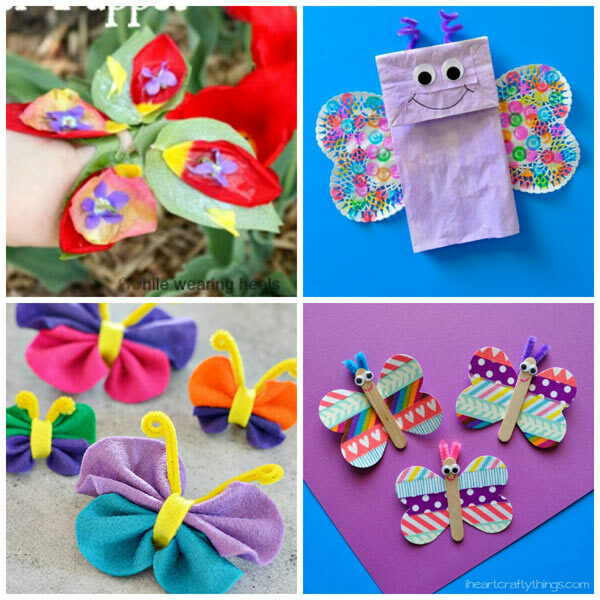 Spring is all about flowers, blooming trees, bees, birds, bunnies and butterflies. 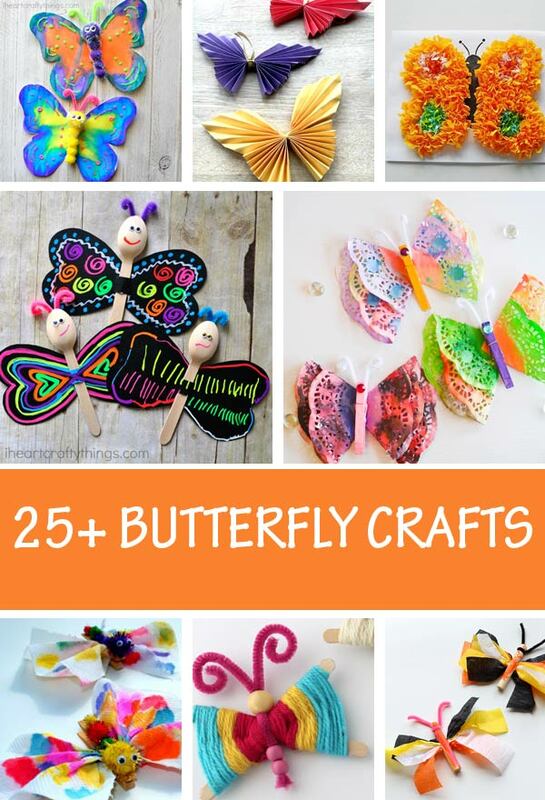 Today we are ready to explore some wonderful butterfly crafts for kids. 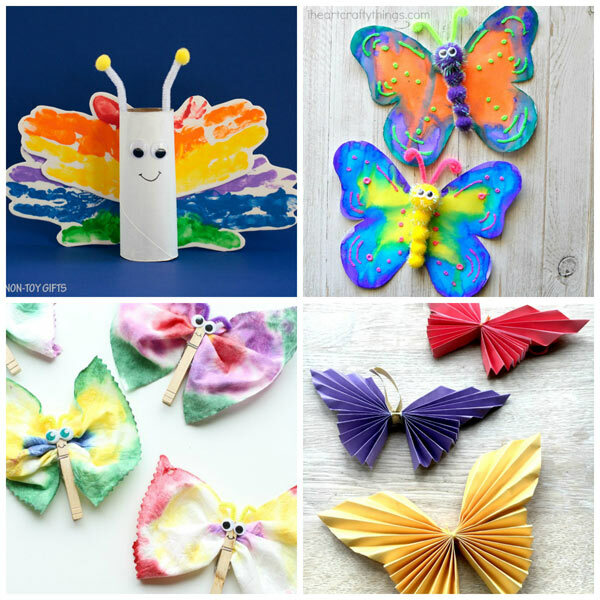 It’s amazing to see how many different crafting materials can be used to create butterflies, from paper rolls and paper towels to baby wipes and egg cartons. 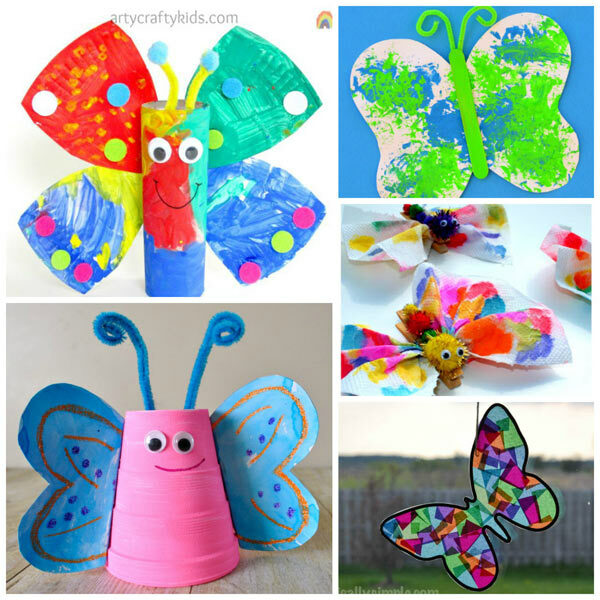 Enjoy this collection of happy, colorful, unique butterflies!